This is an old school encyclopedia for do it yourselfers and student engineers. Few topics are untouched. 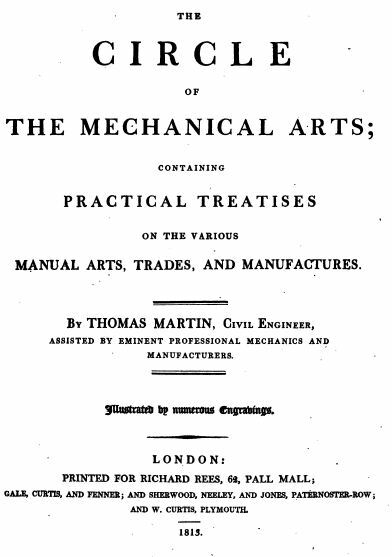 Some of the topics include basket making, book bind, button making, carpentry and joiner, carving and gilding, cutlery, enameling, engraving, glass making, gun making, hat making, masonry, mining, pipe making, planing, plastering, plumbing, pottery, sawing, rope making, tin plate working, soap making, and so much more to list here. A real old school encyclopedia.